Ocean Village has had quite a bit of a make over in recent years with various apartments being built but not a lot else. 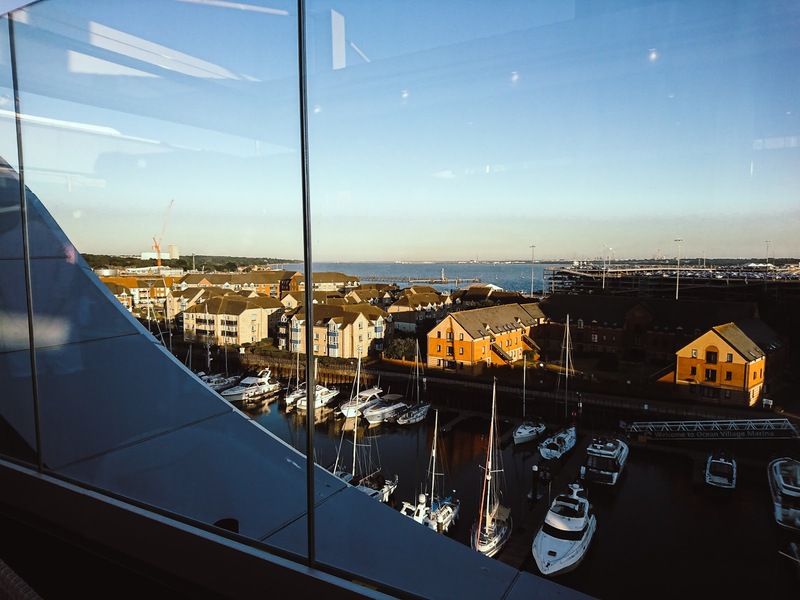 You're really limited for choice for food and sometimes bar options so the Southampton Harbour Hotel was a fabulous new addition to the area when it opened in 2017. 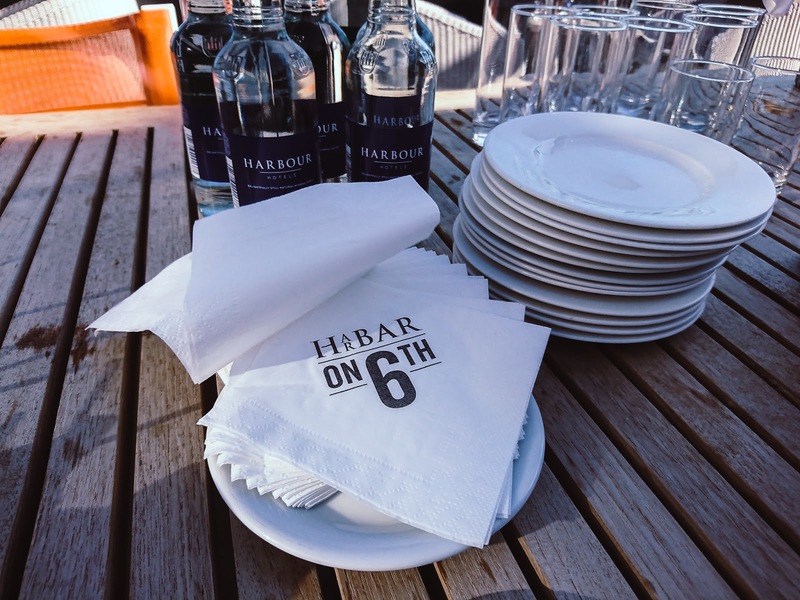 With summer officially here, HarBAR on 6th held a Summer Terrace launch to really see in the warmer months and for once, the weather played ball. 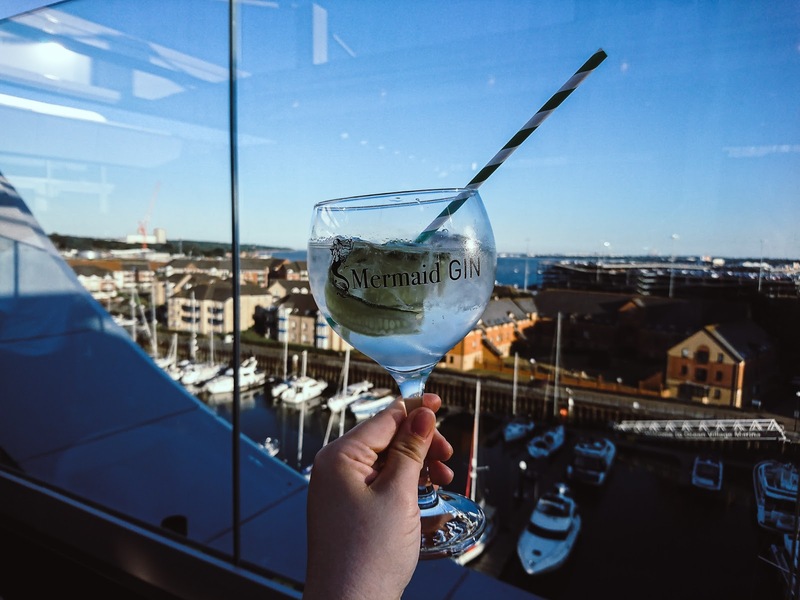 On the tail end of the Summer Solstice, a group of us headed to HarBAR's gorgeous roof terrace for an evening of beautiful food, delicious pizzas and an introduction to Mermaid Gin of the Isle of Wight Distillery. 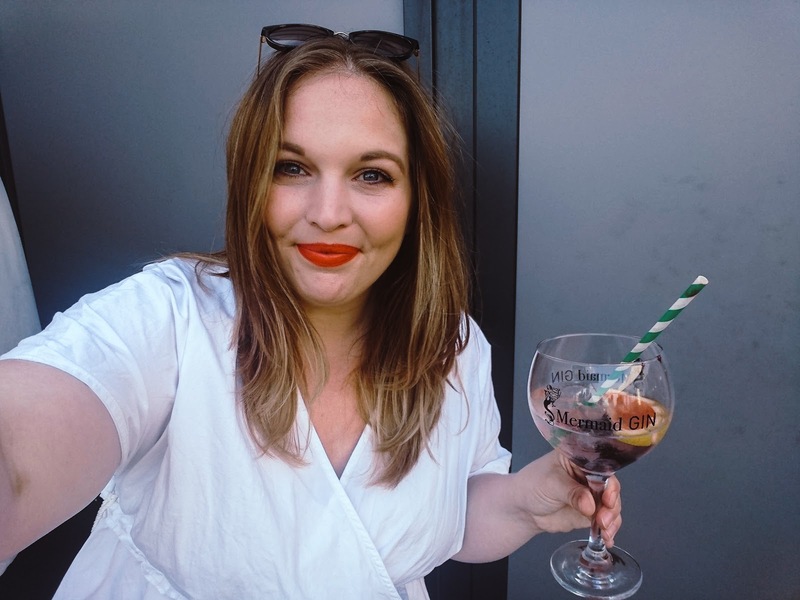 Gin has never been my tipple of choice but with it having a bit of a fashion moment, I've been stepping out of my comfort zone and trying to find what I like and from the soreness in my head the following morning, I think I can confidently say, Mermaid Gin is the one. The guys from the Isle of Wight Distillery were with us for the evening and as well as having the opportunity to drink all the Mermaid Gin, we also tried their Navy Strength and Rock Sea Vodka which was beautifully smooth with a tang of salt. I don't drink vodka but this could sway me. Alcohol is never good on an empty tum, come on... we're not eighteen anymore so we had a yummy spread of food laid on for us. 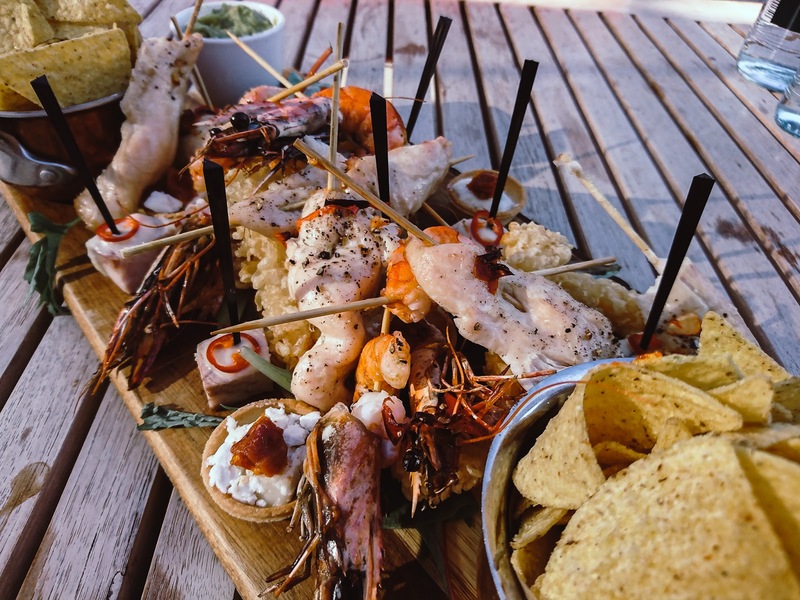 From garlic squid and tempura prawns to perfectly cooked pork and apple bites and chicken skewers. We quickly pitched up by the food and continued to enjoy the glorious weather and the last of the evening's sunshine. 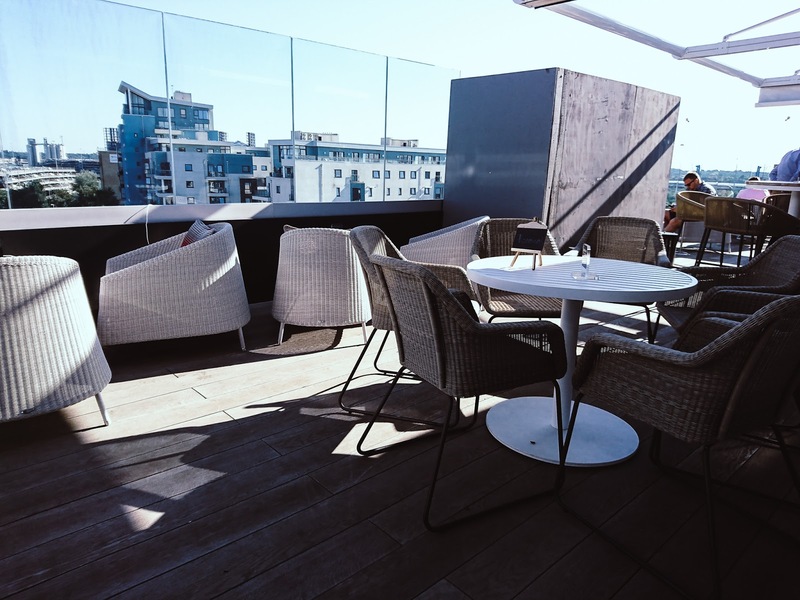 On HarBAR on 6th's menu you can also choose from a selection of pizzas that are cooked in their wood fire oven which is on the terrace. 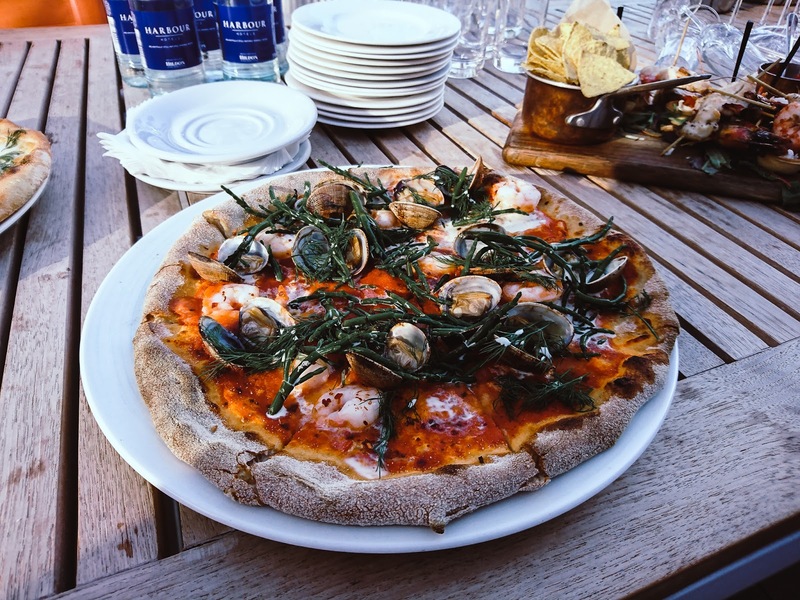 We tried a selection of pizzas with the prawn & clam going down a treat! I can't wait to head back and try more from the menu. 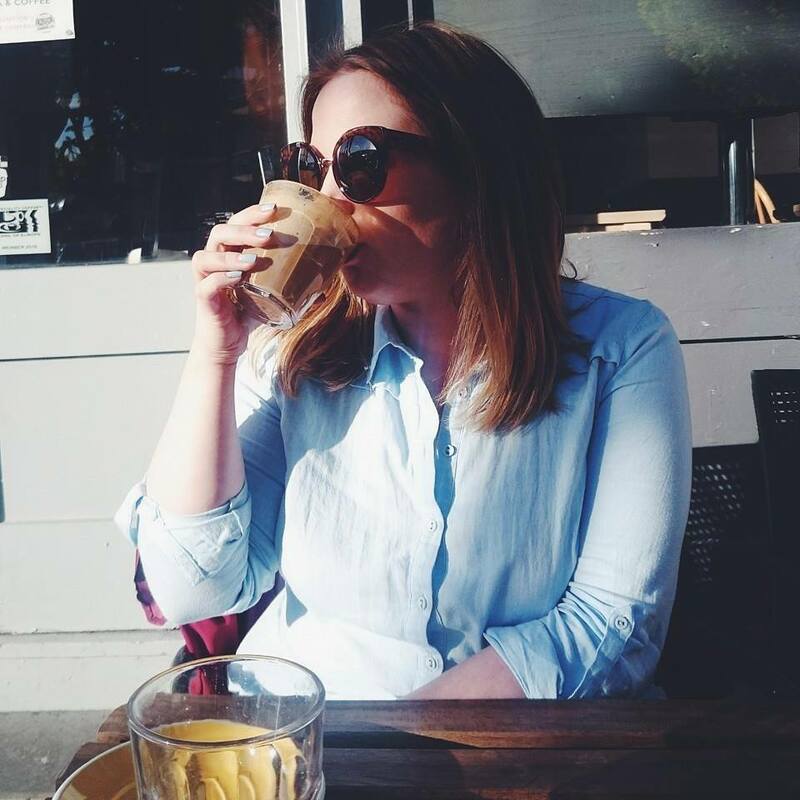 All I kept saying to everyone, all evening was how good a time I was having sipping gin in the setting sun with the most beautiful view. It really is the perfect place to spend an evening. 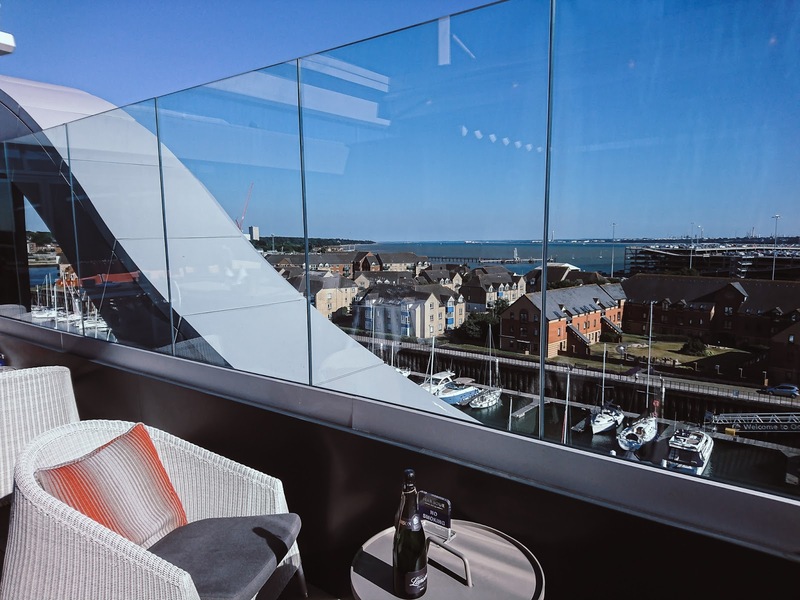 I've only been to Southampton Harbour Hotel once before for Afternoon Tea back in January but with the roof terrace on HarBAR on 6th, The Jetty restaurant with lots of seafood and a spa to die for, I can definitely see myself heading back very soon. This tired mama needs a spa day! WOW! The food, drinks and scenery looks amazing... 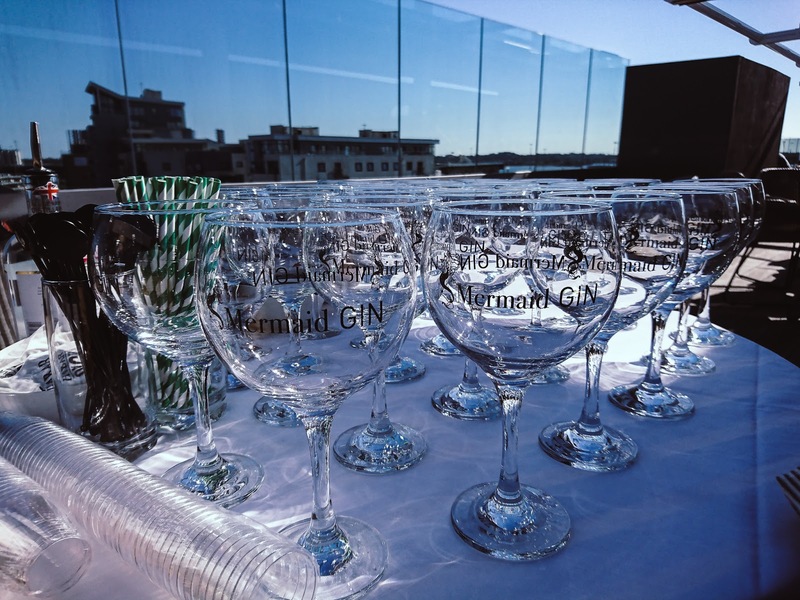 Cannot wait to try the Roof Terrace out and try out the Mermaid Gin :) Hope you had a fab time! This looks amazing, I definitely need to try the mermaid gin! Aaaah what a babe you are, I love the lippy too, you look beautiful! You'd have to drag me from that terrace kicking and screaming when they closed haha! The view and the food look spectacular! Wow that food looks amazing. I wouldn't mind checking that place out.